Being a photographer herself, gorgeous bride to be Savannah had a clear direction when it came to her own engagement session with fiance Wayland. 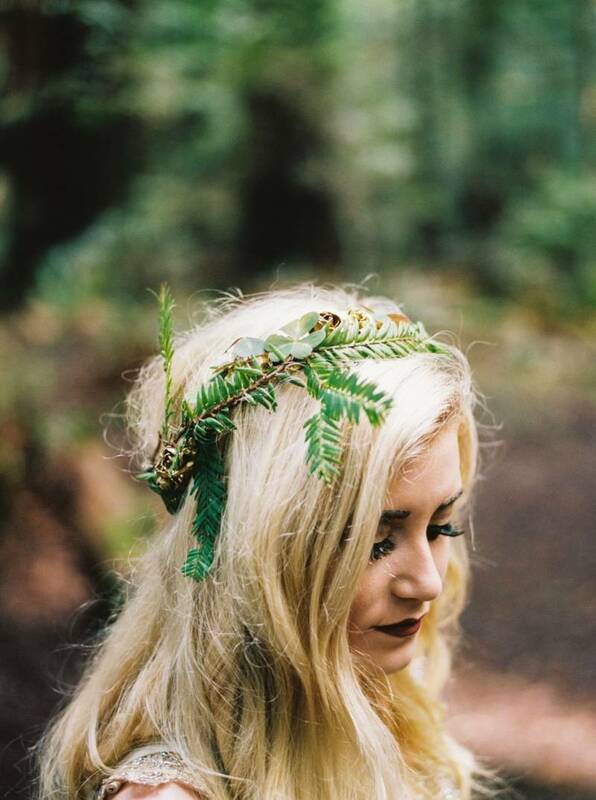 As she incorporates a fairytale style into her work, finding a location with a magical element to it was key and Humboldt County in Northern California provided the perfect spot with it 'out of this world' giant Redwood trees. With breath-taking views and amazing natural wonders JULIAN N. PHOTOGRAPHY was certainly spolit for choice when it came to shoot locations and the majesty of the trees certainly provided that little bit of magic. As do his stunning images! 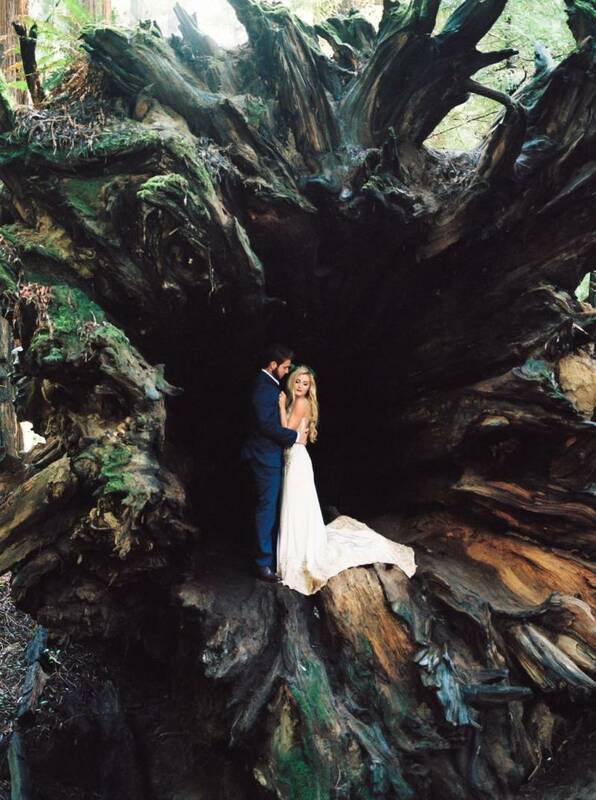 Julian tells us, "Starting the session in formal wear in the Avenue of the Giants, a giant stretch of highway that has miles and miles of stunning giant redwoods, Savannah wore a stunning gold and white evening gown and Wayland wore a navy blue suit. 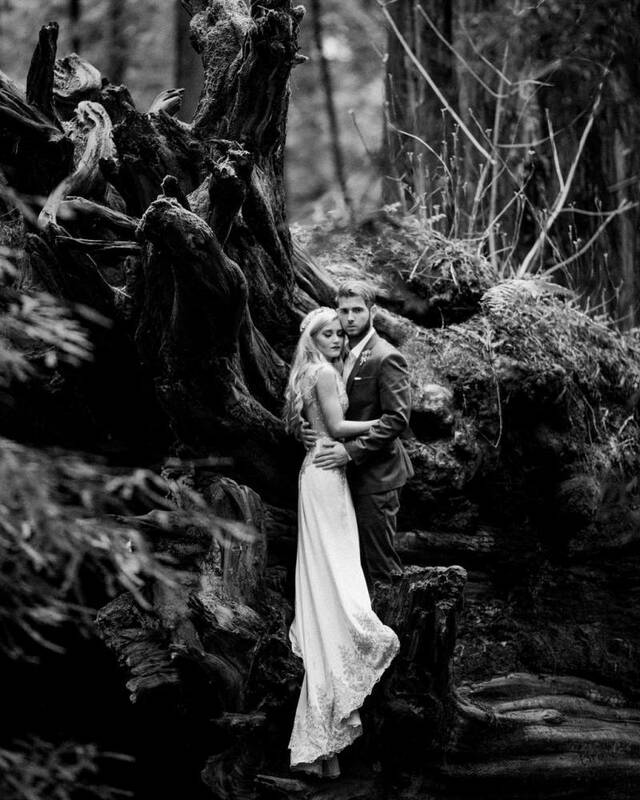 After some time in the redwoods - and even scaling a massive redwood tree for photos - they changed into a more coastal look. Savannah wore a stunning gold tulle dress and Wayland wore a casual yet dressy look. The coast just had stunning views! 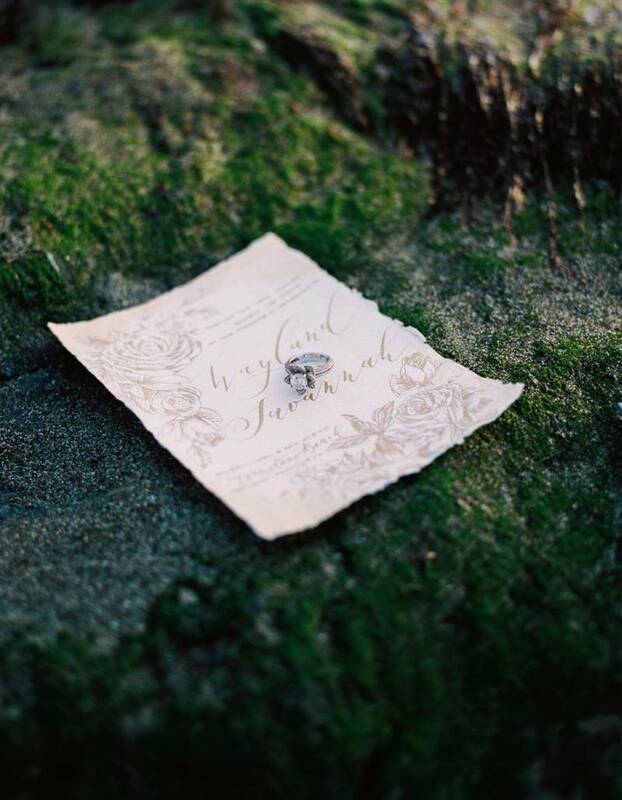 I Collaborated with the talented Ruth from SENIMAN CALLIGRAPHY, who made an amazing gold coast and woodsy inspired save the date that goes perfectly with the aesthetic of the day. 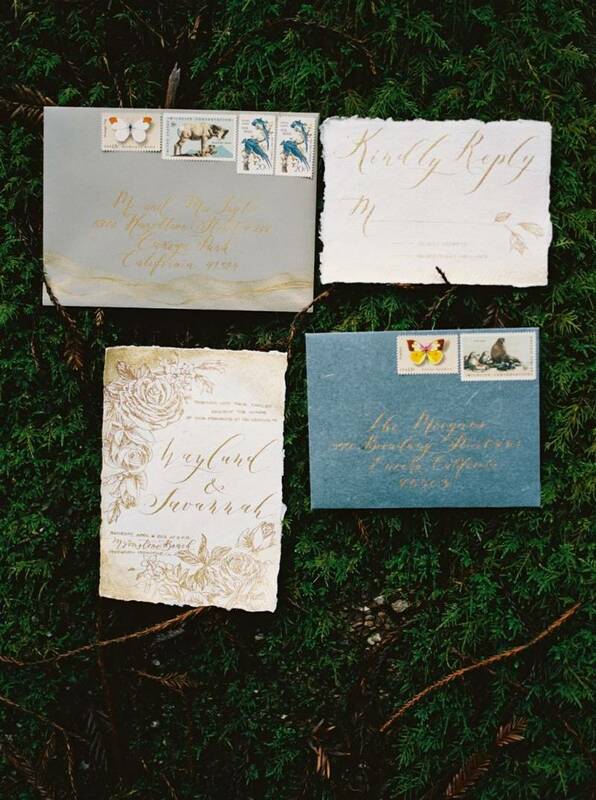 These guys are getting married in April in an equally Fairytale-esque venue."